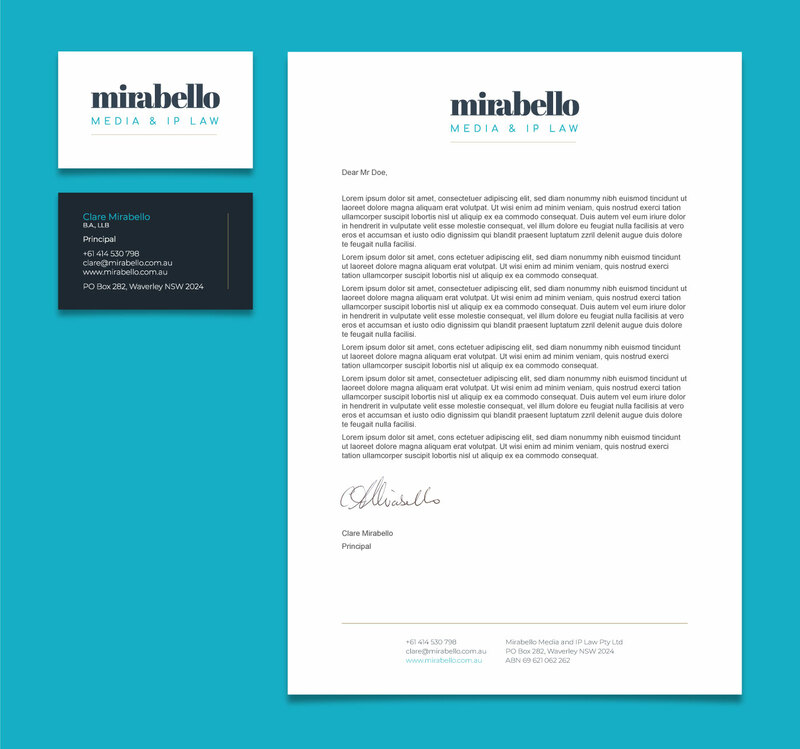 Clare Mirabello is a highly respected lawyer with over 25 years of experience in the areas of media and intellectual property law. With the establishment of her own firm Clare was looking to create an identity which communicated professionalism, trust and approachability. After shortlisting several other contenders, this logo was selected for extension as Clare’s visual identity across business cards, letterhead, email signature and website which is currently under development.